Inclusion in promotional material is based on the receipt of the Sponsorship Form and Payment by August 3rd 2018. All artwork must be received by September 26th, 2018. 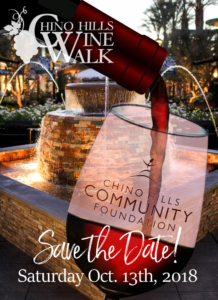 Artwork must be submitted in either PDF or EPS format in CMYK; submit to chcfoundation@chinohills.org or contact us for assistance.